Leeds United head coach Marcelo Bielsa has eased injury fears around centre-back Liam Cooper. The defender was due to start against Sheffield Wednesday at Elland Road, but had to be replaced after the warm up when he picked up an injury. 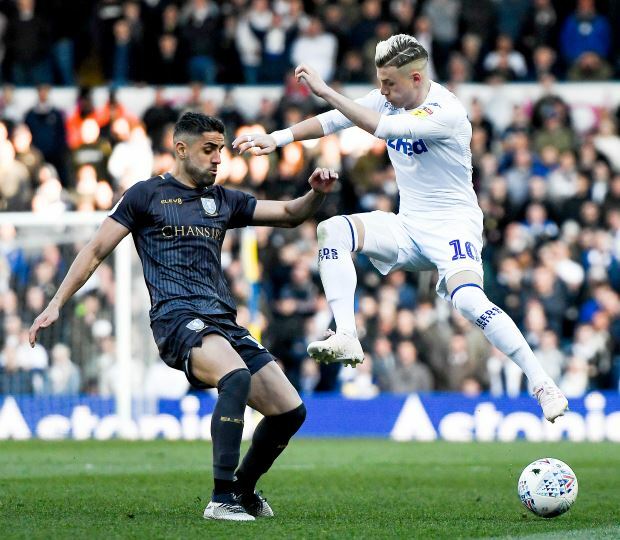 Bielsa was forced to pull Cooper out of the team and hand Gaetano Berardi a start in defence, with the Italian featuring for all 90 minutes of Leeds' 1-0 win over the Owls. Cooper has been a key man for Leeds this season and there have been fears over his absence at a crucial time in the campaign. But Bielsa does not feel that the injury picked up by the centre-back is serious. He told his post-match press conference: "We don’t think so [that it is serious] because he felt like a muscle strain. "The players don’t normally suffer pain in this muscle, but he was in pain and couldn’t play. "I value Cooper did [who] everything he could to play the game. "It’s important to know [why] he couldn’t play the game." Leeds next play host to Wigan Athletic on Friday as they bid to continue with their push for automatic promotion and it remains to be seen whether Cooper will be fit to start next to Pontus Jansson in the heart of defence.